Dr. Charles B. Goldston, D.C.
Dr. Goldston, more often referred to as Dr. Charlie by his staff and patients. Drew upon his past experience as a chiropractic patient to provide quality care at Starkwood Chiropractic. His own experience in the treatment of soft tissue and spinal injury gave him first hand knowledge of what is needed to return patients to a healthy and active lifestyle. The majority of his patients are referrals from previous patient’s families or friends which goes to show the trust they have in him and to his belief in the chiropractic care they receive in his office. Dr. Charlie a native Texan moved to Gladstone, Oregon with his wife Stephanie in 2007. Upon his first visit to Oregon he knew that he had found a home here in the Pacific Northwest. 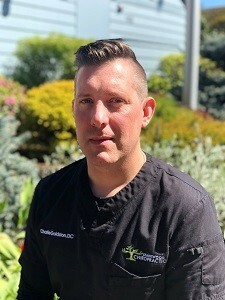 He started his chiropractic career in Oregon City that same year in 2007. He bought his own practice in southeast Portland in 2008 and has been our main Chiropractor at Starkwood Chiropractic ever since. In 2016 Dr. Charlie and his wife welcomed their first son Luke who you might just happen to see stop by in the office eager to “help greet patients”. When not busy with reports, chart notes, and exams in his spare time he enjoys riding bikes, reading, listening to music, and rooting for the Dallas Cowboys, Texas Rangers, Oregon Ducks, and Portland Timbers alongside his son. 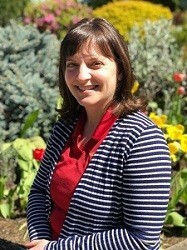 Stephanie joined Starkwood Chiropractic in 2009. She is originally from Texas and moved to Oregon in 2007. You may not see her in the main office often, but she’s busy behind the scenes typing away at her computer and working on our patient accounts and records. She loves treating patients but enjoys her new administrative focus. Her family includes her husband, our very own Dr. Charlie, their wonderful son Luke, 3 dogs and her cat Phoenix. Stephanie enjoys spending her free time knitting and crocheting, enjoying a good book, gardening, and loves to visit her family in her hometown of Ft. Worth, Texas. Jacqueline joined the Starkwood Chiropractic team in October of 2012. She was born and raised in Portland, Oregon. She has always had a passion for helping people and has prior work experience in the medical field. 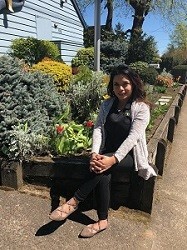 As a mom of two amazing boys Adrian and Jonathan she understands the life of a busy parent and makes every effort to make treatment convenient for the families that come into the office. She strives to do everything possible to help the practice run smoothly so our patients can get back to their busy lives before they know it. When Jacqueline is not busy managing the clinic she enjoys spending time with her husband and going on adventures with their two sons. 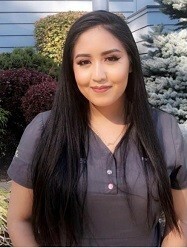 Karla joined Starkwood Chiropractic in June of 2012. She lives in Vancouver but enjoys spending her time and working in Portland. Karla and her husband have an energetic daughter Itxel and lovable son Isaac. She and her husband take every opportunity to travel as a family when they can. She loves to get to know her patients as she cares for them on their journey to recovery. You’ll love her attitude and will always see her with a smile. 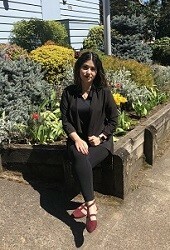 When not brightening her patients day at work or working on our patient records and files, she enjoys going to the movies or local mall with her kids. The first person you’ll see as you walk into our office with the beautiful hair is Maria Fernanda. We can always count on her punctuality, and her sweet smile will make initial paperwork and scheduling your first appointment effortless. Maria was born and raised in Portland, OR. She recently got married this summer and is enjoying her life as a newlywed! She has a pet fish & a pet hamster named “Gorda”. She’s the newest member to the Starkwood Chiropractic team but is fitting in great and loved by the patients!